Recently, the President’s Council of Advisors on Science and Technology (PCAST) released an expert witness report which sharply criticized a number of widely accepted forensic methods used in criminal trials. As expert witnesses become ubiquitously integrated into the American criminal justice culture, many forensic science techniques have become commonplace in trials, and the PCAST report represents an effort to trim so-called junk science from the courtroom. Multiple studies and reports by the FBI and the National Institute of Justice have found that DNA testing has invalidated jail sentences for several defendants who were convicted on the strength of faulty bite mark, hair comparison, shoe tread comparison, and other common forensic methods. Since the turn of the century, a cottage industry has arisen for scientists and legal organizations dedicated to re-evaluating convictions based on shaky forensic expert witness testimony, leading to several hundred exonerations across the United States. With widely accepted forensic methods facing questions from the scientific community, President Obama commissioned PCAST in 2015 to write a report which critically examined the state of forensic methods used in criminal trials. Last week’s PCAST report , which was written by high profile scientists who conducted thorough reviews of forensic techniques and methodology, issued a critical review of several types of evidence which have become common in criminal trials. 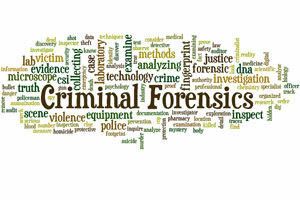 Building on prior work and conducting further empirical research, the PCAST report critically examined 7 forensic methods: single source DNA testing, complex multi-source DNA testing, latent fingerprinting, bite mark, firearm analysis (which connects a bullet to a gun based on unique features of the weapon), footwear analysis, and hair matching analysis. The report found that single source DNA testing is a highly valid forensic method and both multi-source DNA and latent fingerprint analysis have made strides in refining the process and there are reliable experts available to testify to each method in criminal trials. The scientific experts who generated the PCAST report concluded that bite mark identification, firearm analysis, footwear tread identification, and hair matching analysis are currently unreliable given the lack of empirical research supporting each field. The PCAST suggested opportunities for improvement, particularly in firearm analysis, but suggested that each of these forensic techniques must undergo more rigorous testing before being universally relied on in criminal trials. Since 1993’s Daubert v Merrell Dow decision, judges throughout the American legal system have been tasked with rigorous evaluation of expert witness testimony and are only allowed to admit experts who provide reliable testimony that is the product of sound theory and scientific methodology. Judges can consider many factors, but in reality asking the judiciary to critically evaluate scientific work imposes a duty beyond a judge’s qualifications. As a result, forensic methods based on junk science can gain widespread popularity if a collection of scientists convince a judge that the theory and methodology are sound enough to pass legal muster. The PCAST report, which is written with an eye towards the legal standard for admitting forensic expert witness evidence, provides judges with the tools necessary to more closely evaluate many widely used forensic techniques. While the future use of these common forensic techniques in courtrooms is unlikely to change overnight, the long term effect of the PCAST work will likely see a decrease in reliance on unreliable forensic expert testimony. Regardless of its immediate effect, the PCAST report represents a change in how the scientific and legal community will interact in criminal investigation and prosecution as more rigorous scientific analysis influences when and how expert witnesses can testify.